FREDERICTON, NB – Picaroons Traditional Ales has announced the return of its annual Valentine’s Day beer. Afterglow Aphrodisiac Ale (7% abv) is a strong ale brewed with chocolate, chili, ginseng, and licorice root. 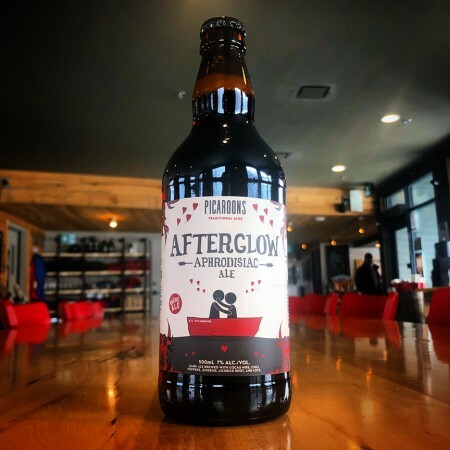 Afterglow will be available at all Picaroons locations and ANBL stores throughout New Brunswick while supplies last.